The "rainbow gay edition" of the Festivus pole is popping up next to other religious displays as well. The Festivus pole is making a comeback. The pole, originally made of beer cans, is a nod to the fake holiday Festivus celebrated by characters on the TV show “Seinfeld.” Deerfield Beach activist Chaz Stevens first put it up in protest of the Christmas Nativity installed by the Florida Prayer Network in 2013. 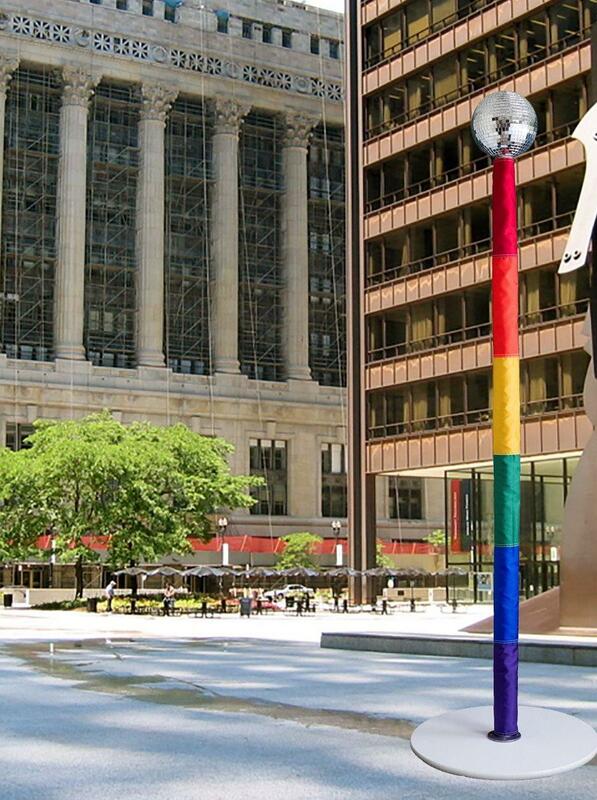 And though Christ is taking a hiatus this year, the pole is returning, in what Stevens calls a “rainbow gay edition.” It’s a multi-colored pole topped with a disco ball. Also approved for the rotunda is a Hanukkah menorah, which is already on display. The Florida News Service reports the Festivus pole will be up Dec. 21 through Dec. 28. 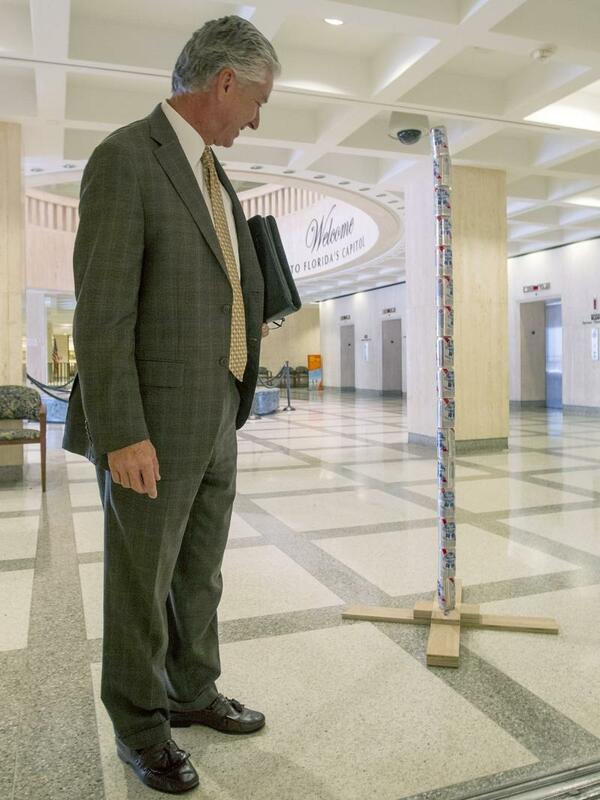 There's a brand-new holiday display at Florida's state Capitol in Tallahassee: a pole celebrating the fake holiday Festivus from the TV show Seinfeld. 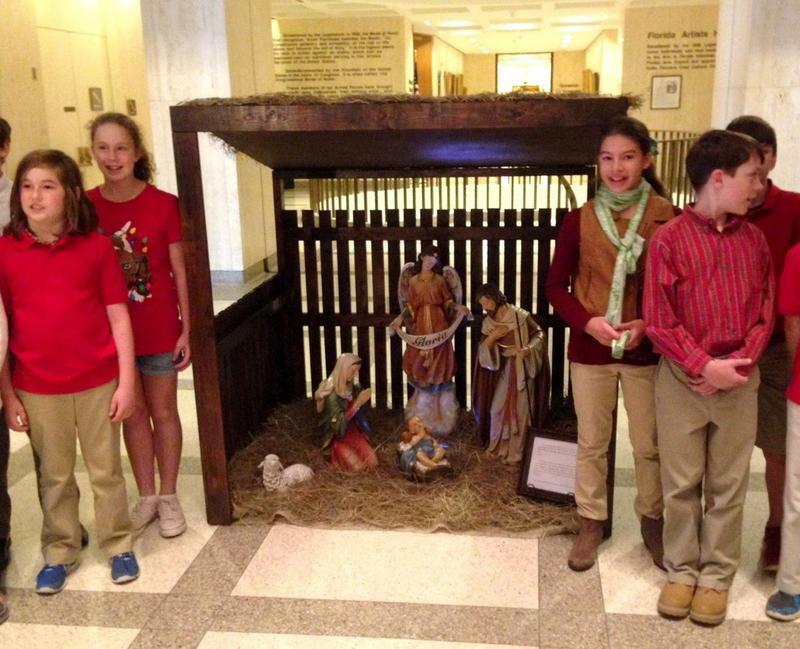 It's the latest protest exhibit after a Nativity scene was set up in the rotunda last week. On a foggy Monday morning, the Florida Capitol is nearly inaccessible. With many offices winding down for the holidays, stairways and entrances are blocked off for construction projects or cleaning. 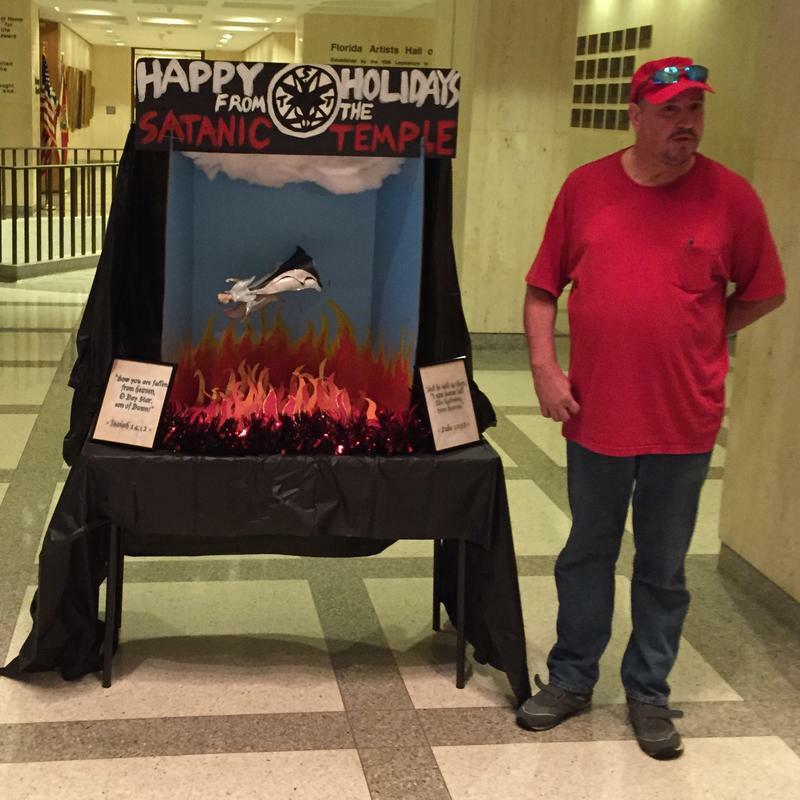 But this didn’t stop a handful of Satanic Temple members from spreading their own brand of holiday cheer.